After 3 years of steady growth for our on-site Yacht Brokerage Service we are pleased to announce our new Brokerage Page is now live. 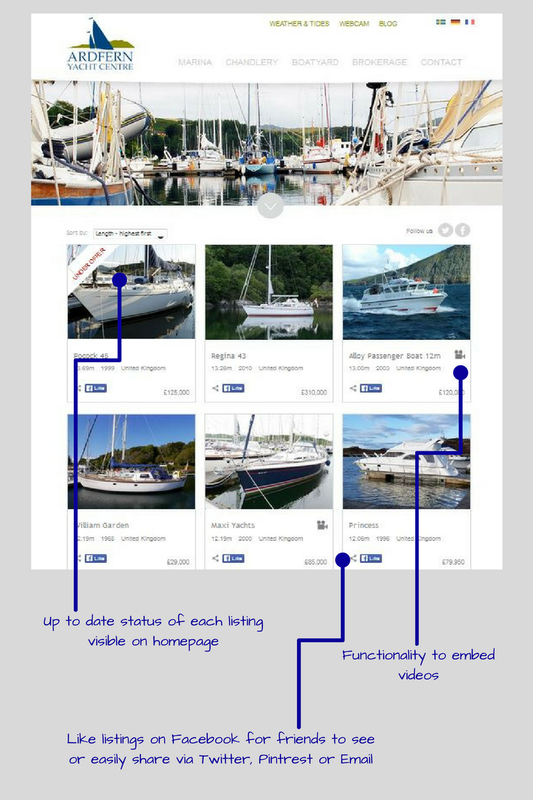 Working with our own web developers and the UK based online boat sales portal TheYachtMarket.co.uk the brand new page is packed with custom features suited to the needs of those perusing online adverts for the boat of their dreams. In the last 12 months the number of visitors to the brokerage page within our website neared 20,000 and illustrated the value of this shop window for our brokerage service. 'The new page brings our own website up to date displaying the listing details in a crisp clear format and creates a platform around which we can expand our partnership activity with other brokerages' commented Mark Cameron, General Manager and in-house ABYA Yacht Broker. 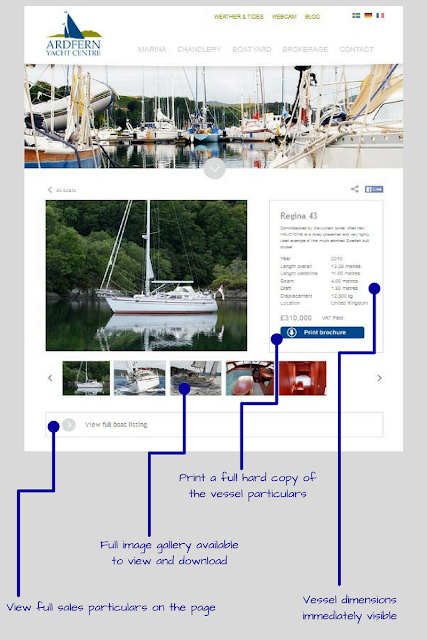 The new page displays all current listings in an easily readable format allowing users to quickly scroll through listings before opening up selected listings to see full details of the boat. Information is displayed clearly in a format which shows off key features while retaining high levels of detail buyers find useful when viewing a boat from afar. From the webpage full details of each listing can be printed or even shared to your selected social media platforms to show friends. Activity across the Brokerage has been strong since the end of last season with many well presented high value blue water cruising boats finding new owners after only a few months on the market. In the last 12 months we have worked with buyers from Northern Europe, USA and Canada to successfully sell and export boats ranging from 33' to 46'. We have some interesting new listings coming onto the books in the next few weeks however with active buyers on our books looking for good quality cruising yachts we are always keen to discuss new listings.